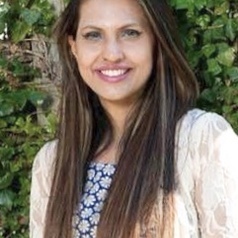 Dr Annie Waqar has an extensive research background and knowledge on the various issues relating to Nuclear Security in South Asia and the Middle East, Defence, Arms Control and International Relations along with fluency in four different languages. She has worked for various think tanks, delivered numerous lectures and conducted workshops in universities in the UK, US, Europe and South Asia. Dr Annie Waqar has over 11 years of work experience as a Goodwill ambassador, in over more than seven countries in South Asia. She also has a lot of experience in dealing with the media, and the social work, education and human rights domains. She joined UNICEF as a goodwill ambassador to Commonwealth countries in 2002. Dr Annie Waqar continues to produce quality research and policy papers on Nuclear Non-proliferation and Disarmament in South Asia and Middle East and aims to work with international organisations on issues such as analysis, advocacy and communication in order to increase understanding about how international processes influence individuals, businesses and governments worldwide. She also teaches various short academic courses to the British military and NATO officials.